Izabel Magalhães was born in Brazil. 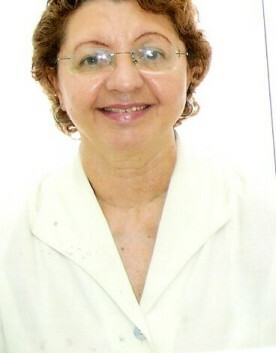 Professor of Discourse Analysis at the Department of Linguistics and Co-ordinator of the Núcleo de Estudos de Linguagem e Sociedade (Centre for the Study of Language and Society) at the Centro de Estudos Avançados Multidisciplinares (Centre for Advanced Multidisciplinary Studies), University of Brasilia, Brazil. Researcher at the CNPq (National Council for Scientific and Technological Development), Brazil. Classification 1D. Education Ph. D. in Linguistics, Lancaster University, UK, 1985. Post-Doctorate at the same university in 1993-1994, with Professor Norman Fairclough and Professor David Barton. Current Research Discourse and Identity in the Classroom, at the Workplace and in the Community. Funded by the CNPq. Writing, Identity and Genre. Funded by the CNPq and the University of Brasilia. She has published several books, including: Magalhães, I. and M. C. Leal. (eds.) Discurso, Gênero e Educação (Discourse, Gender and Education). Brasília: Plano Editora & Oficina Editorial do Instituto de Letras da Universidade de Brasília, 2003. Magalhães, I. Eu e Tu. A Constituição do Sujeito no Discurso Médico. (You and I. The Constitution of the Subject in Medical Discourse). Brasilia: Thesaurus, 2000. Magalhães, I. (ed.) As Múltiplas Faces da Linguagem. (The Multiple Facets of Language). Brasilia: Editora Universidade de Brasilia, 1996. Chapters in collaborative works include Magalhães, I. Interdiscursivity, Gender Identity and the Politics of Literacy in Brazil. In M. M. Lazar (ed.) Feminist Critical Discourse Analysis. New York: Palgrave/Macmillan, 2005, pp. 181-204. Magalhães, I. Institutional Talk. In Encyclopedia of Language and Linguistics. Elsevier, 2004. Article Number: LALI: 00409. Magalhães, I. Análisis Crítico del Discurso e Ideologia de Gênero em la Constitución Brasileña. In L. Berardi (ed.) Análisis Crítico del Discurso. Perspectivas Latinoamericanas. Santiago, Chile: Frasis, 2003, pp. 17-50. Journals articles include Magalhães, I. Critical Discourse Analisis and the Semiotic Construction of Gender Identities. D.E.L.T.A., 21- Especial: 179-205, 2005. Magalhães, I. Unequal Discourse Rights in Adult Literacy Sites in Brazil. Rask, 22: 37-66, 2005. Magalhães, I. Review of Spears, A. K. (ed.) Race and Ideology. Detroit: Wayne State University Press, 1999. Papia, 14: 84-87, 2004. Magalhães, I. Teoria Crítica do Discurso e Texto. Linguagem em (Dis)curso, Especial, 2004.